Time to slow the hustle, Step up the fun, Stop the stress, for The Season has begun. The checklist of holiday fanfare is created. 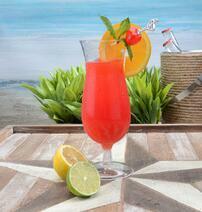 You have shopped for the menu and created your perfect signature cocktail. 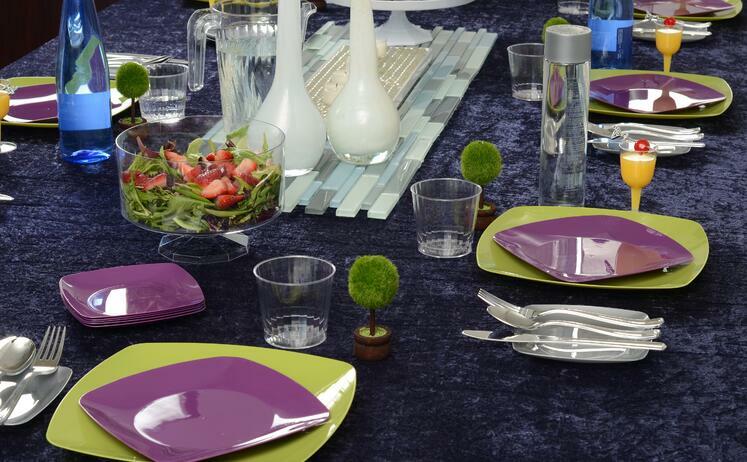 Imagine spirited music, sparkling lights, joyful cheer and plain dreary tableware – Bah HumBug! 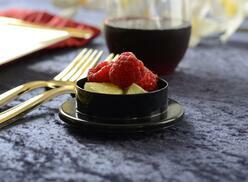 Keep your holiday event classy, stylish, and festive with one of Fineline Settings holiday table settings. We have done the work for you; chose your favorite holiday table display and review the recommended list of items to set your table. 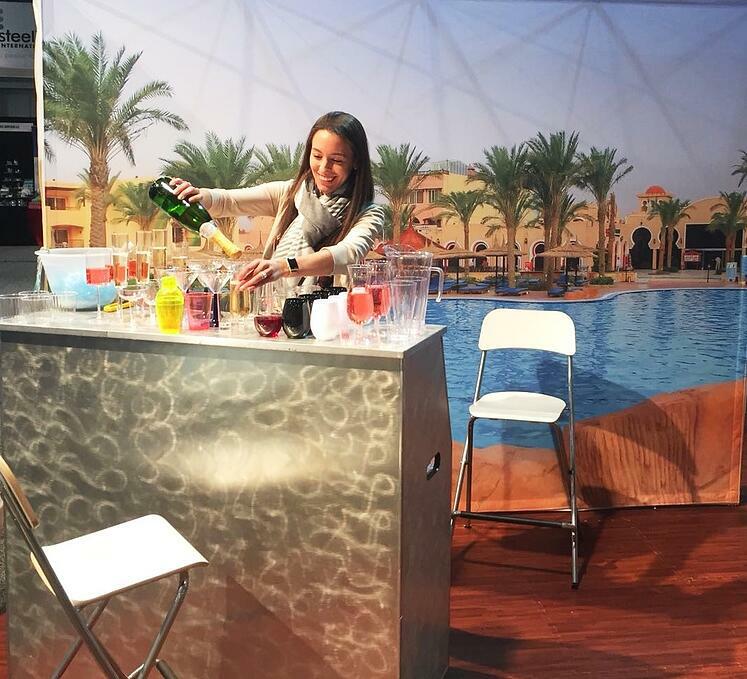 You will find everything you need to create that one of a kind memorable experience for your guests. The Family Affair using The Renaissance Collection. 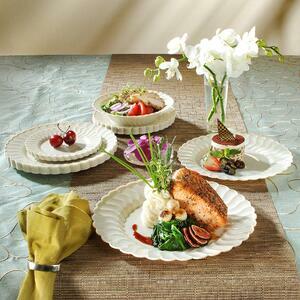 Lead your guests to an elegant preset table with 10” dinner plate, topped with 7” salad plate and 12 oz bowl. 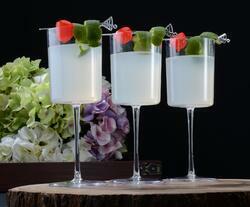 Add a little bubbly champagne flute for the holiday toasts and the stemless wine glass for the festivities. 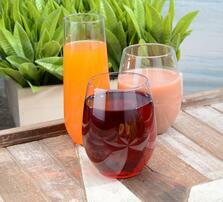 Keep everyone hydrated with water glasses and pitchers for easy refill. 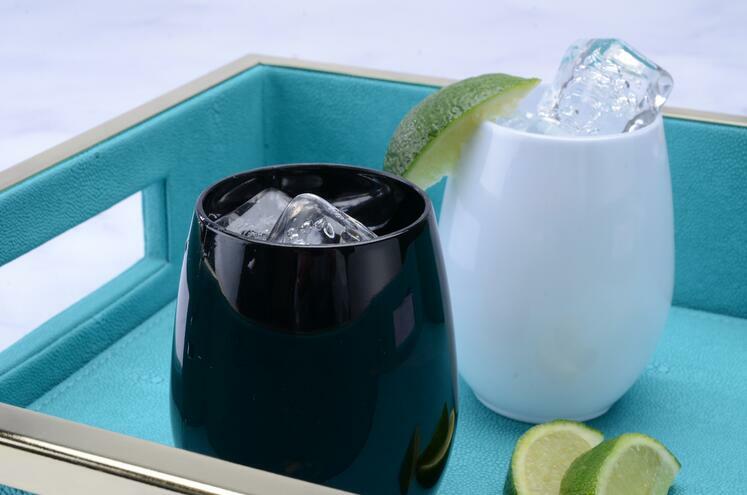 Don’t forget your signature cocktails, like the Moscow mule mug and strong sophisticated cutlery. 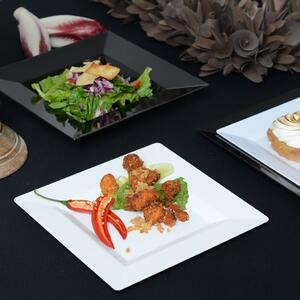 Keep your decor the focus by using the 14” x 14” black square platter pleaser for your main dish display and black heavy weight serving spoons, forks, and tongs for plating and serving. 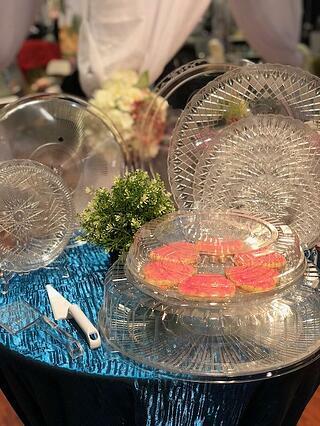 For the grand finale, use the clear cake stand to display all the beloved treats of the holiday. Remember, the height of the cake stand will allow your guests to see the beauty of the dessert and easy access to enjoy 2nd helpings. YUM! The Modern Hip Party using Wavetrends Collection. Show your chic flare to all your friends at your grab and go buffet celebration. 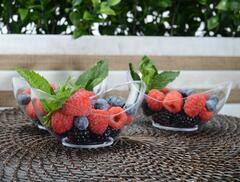 When your guests all contribute a dish to pass – give them cool hip table settings to display their creations. Buffet style serving brings hearty appetites which means stocking the table with 6” and 9” dinner plates, festive cutlery rolls both black and silver, clear serving bowls for those tasty casseroles, and be the hostess with the mostest – have plenty of serving silverware (because no one remembers the serving utensils for cutting homemade pie or LARGE fork/spoon for dishing up salads!) 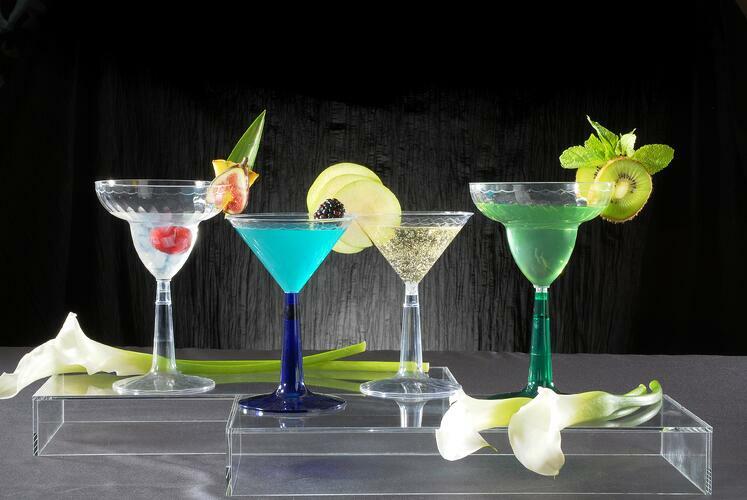 However, for true fashion forward panache, give your guests the durable cocktail plate invention to marry with their champagne flute or martini glass while mingling and catching up on all the gossip and chit-chat. Oh! 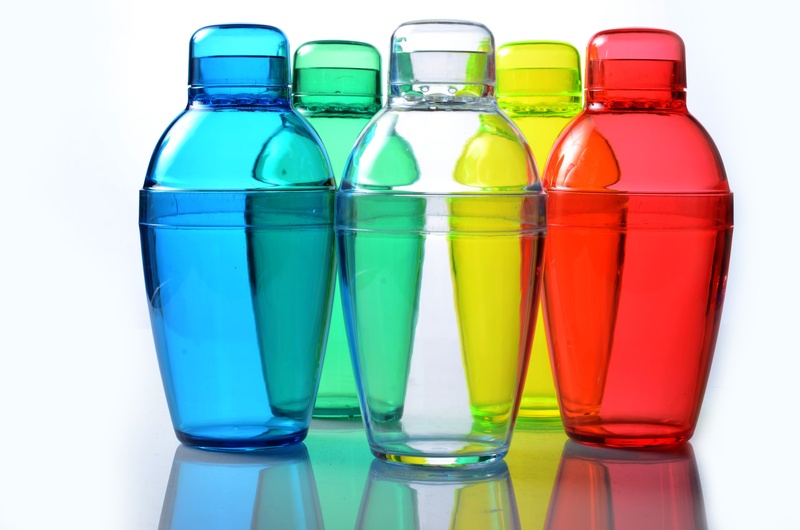 Don’t forget those disposable customized shot glasses at your bar for the ongoing toasts of friendship and reminiscing of good times past. 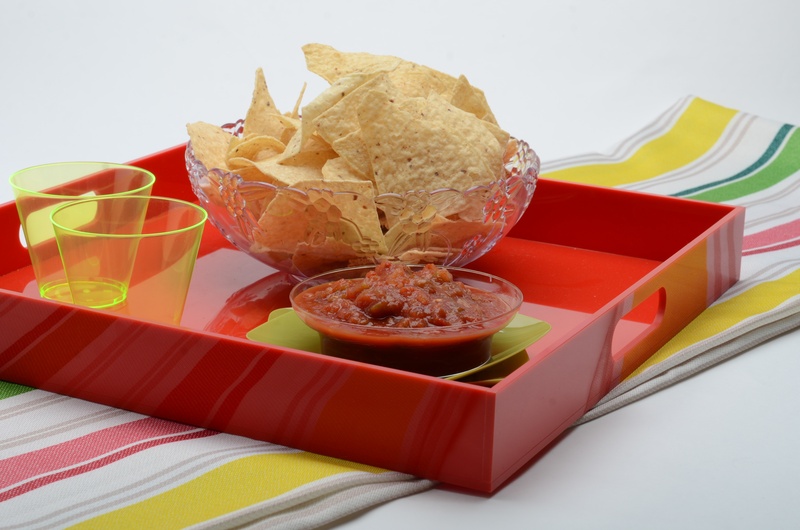 Finally, since it is YOUR party, perfect opportunity to show off your culinary skills (without breaking the menu budget) using the Fineline Tiny Tempts trays, bowls, and cubes for portioning and tiny forks, spoons, picks, and tongs for eating. The Caterer’s Celebration using Gold and Silver Splendor. When catering an event, expectations run high with the b’s and d’s (bread plate on the left drinks on the right!) of etiquette or the serve on the left clear from the right formality. Customer expectations are a posh and fancy reception; while the caterer needs to arrange for a sturdy but swanky debut of food service. 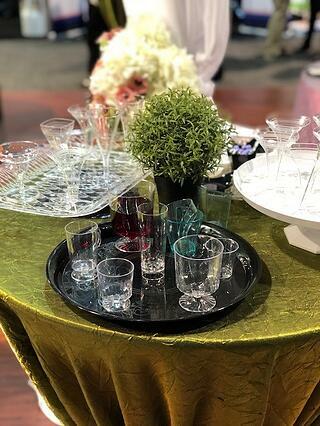 Don’t let the two opposing expectations stress you out for your event, mix and match color, size, and shape to create the perfect blend of adult sophistication and durability. 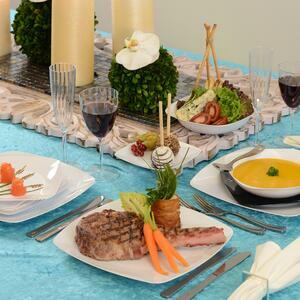 Catering service always includes coursing of the event meal and serving a plentiful helping of the cuisine. Service needs vary from 4” cocktail hour plates and beverage pitchers to starter salads and service tongs or 12 oz soup bowls and spoons. 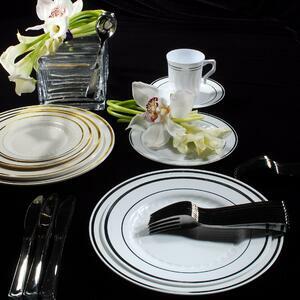 Next the catering experience graduates to the main fare needing 10” plate either round or square trimmed with your choice of gold or silver (for the best deal take advantage of the 7”/10” combo solution). 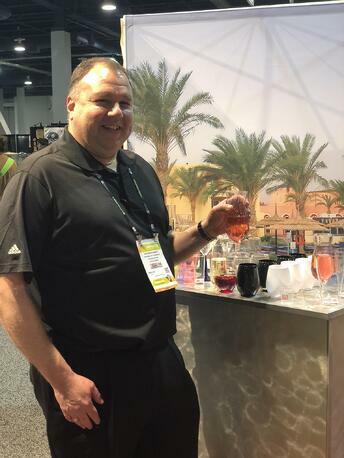 Don’t forget all those different drink flavors from champagne, wine (red and white), water, mixed beverages to coffee, tea, and soda. 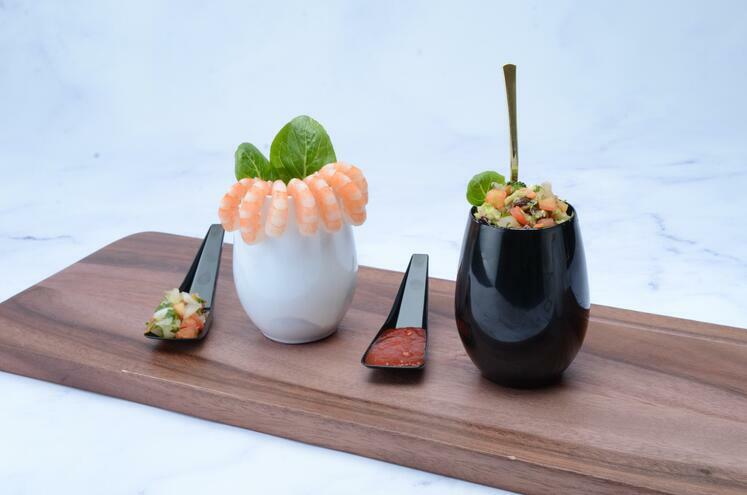 Here are some tricks of the catering trade - Use simple and sturdy large dome lid and trays to allow for double duty with easy transport of items into and out of the venue while also perfect for serving single serve items (We love those tiny cocktail picks, spoons, and forks for these occasions too – clean, easy, and individual). Now for the b’s and d’s etiquette trick😊 – never know which side your stemless wine glass, water, champagne should be set vs. your bread plate and knife – With your left hand touch your first finger and thumb while holding the other three fingers straight (making a lower case b) do the same action with your right fingers (making a lower case d). Bread plate goes on the left (aka lower case b for bread); Drinks go on the right (aka lower case d for drinks). 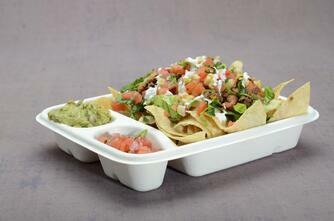 Take Home Party in a bag using Solid Squares. Holidays bring hustle and bustle of shopping and cheer leaving you no time to prepare for those impromptu visits from out of town friends. Don’t stress! 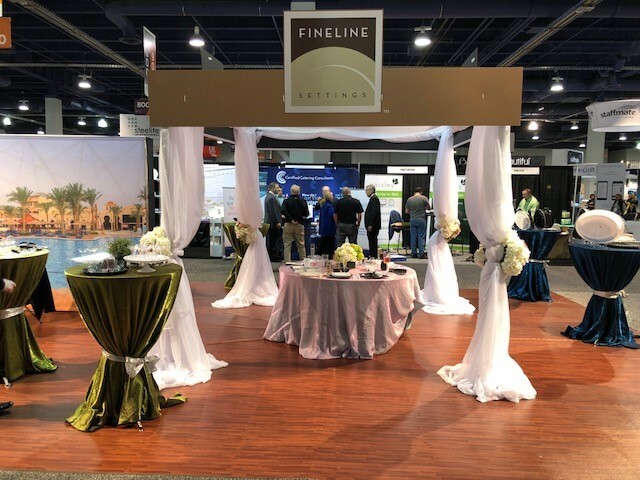 With just a little finesse, Fineline’s 10 bag/12 case events on the go packaging coupled with a stop at your favorite restaurant will bring entertaining success! This type of readiness is prepared with plates of all sizes including cocktail, dessert, salad, large and small dinner, and large and small bowls. 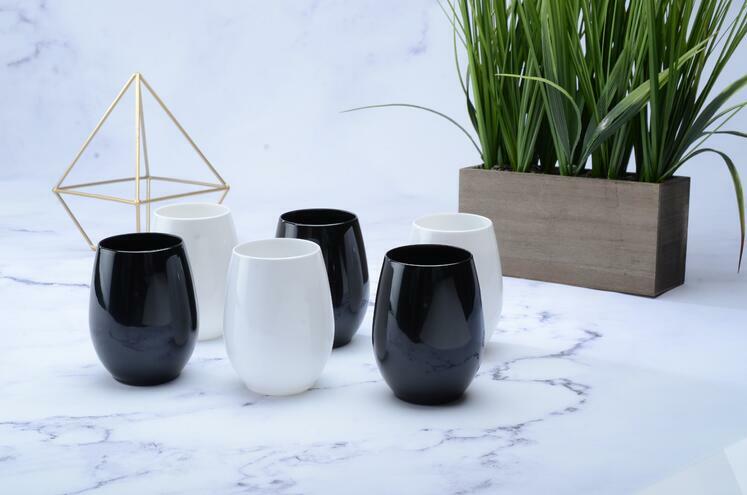 Can’t decide on a color or theme - don’t fret over those small details each item comes in all three colors of black, white, and clear. 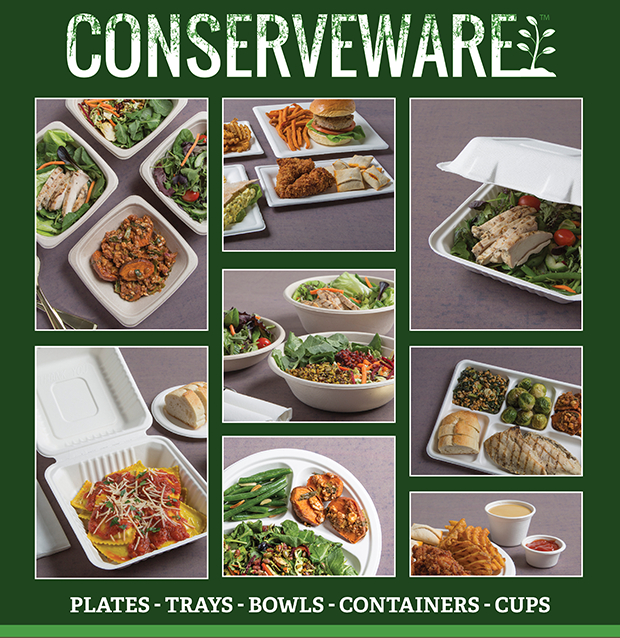 Use our super large bowls and compartment trays to display each side dish and as an added bonus – store all the leftovers in the same container just use the corresponding lid to cover and refrigerate. Kids Table using Flairware. Let's face it the key to any successful party is keeping the kids happy and fed so the adults aren’t stressed wanting to leave. How do you get kids to eat – make it fun and silly. Keeping in mind the small appetites - first place a 6”round dessert plate then below it but not touching place a 7”round salad plate; place black fork dangling off one side of the 7” round plate and place a black knife off the other side of the 7” round plate. Refold the black napkin (from the pre-rolled cutlery) into a long 2” rectangle and drape between the plates; place blueberries from your fruit tray as eyes mouth and buttons on shirt while a baby veggie carrot is a nose – instant Snowman setting. AND here we go again with those Tiny Tempts (can’t get enough of those cute containers) keep them on hand to dole out lil candies or allow the kids to eat using the tiny cutlery for “just the right size bites”. It’s a perfect game to challenge themselves about how many bites it will take with the little fork before they are full. 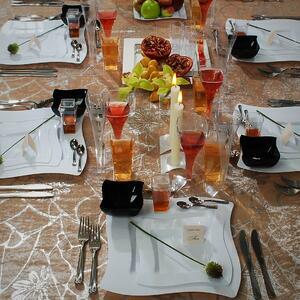 BONUS TIP - There is one last reminder for every table setting – ITS ALL DISPOSABLE. That’s right no dishes, no mess, and leftover package ready. When the party is done clean up is fast and back to everyday living. We know that every day is a reason to celebrate... but can you blame us for being a little extra excited about Febraury 22st...? "What", you may ask, "is so special about a Thursday?". Well, dear friends, in the spirit of 'it's always 5 o'clock somewhere', we are happy to tell you that February 22nd is National Margarita Day! 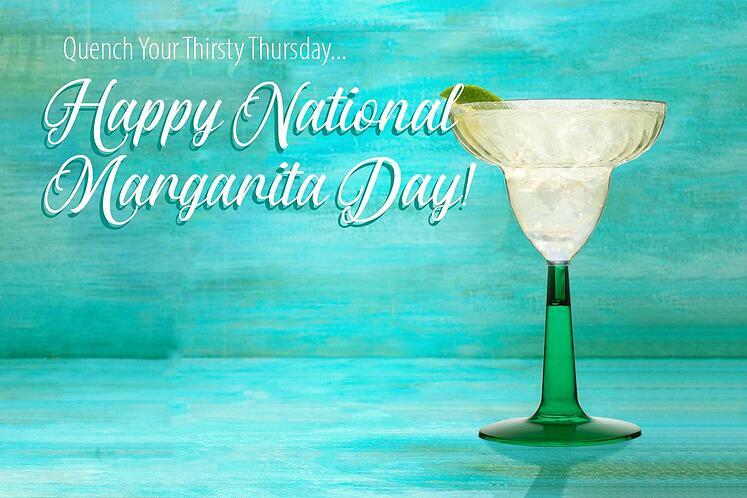 That's right, as your busy work week is finally crawling to a close, treat yourself to some Thursday evening enjoyment with a cold, salt (or sugar) rimmed margarita! Yes, we know, in some parts of the country it still feels like the only thing to do is huddle by the fire with hot chocolate... but we see no reason not to huddle by a fire with your favorite people and a tasty Margarita! 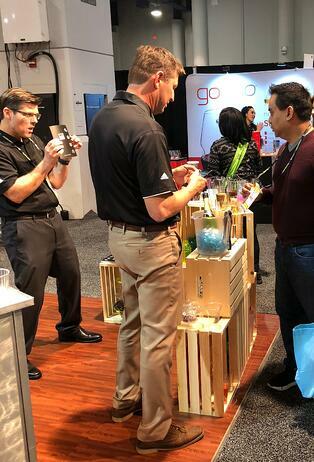 And because Thursday is still a worknight, and that means every precious moment of free time should be spent decompressing and not dish-washing, let some of our favorite disposable Margarita-style glasses take the stress away. 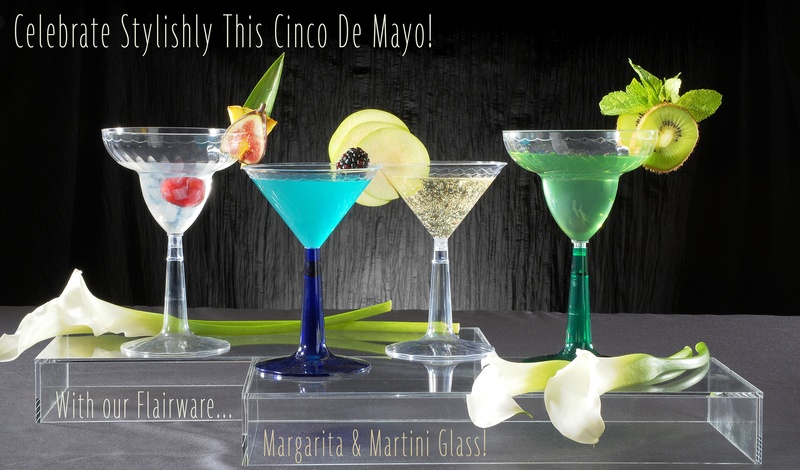 With our Flairware Clear and Green-Base Margarita Glasses, you can have a happy-hour without any of the after-hour mess! So go grab your favorite mix, limes, and whatever else you deign delicious, and take this Thursday evening and add a bit of extra fun! After all, we're celelbrating with you... in spirit! Okay, so for some, THIS is the biggest celebration of the year! That's right, we're talking about the SUPER BOWL! The long wait is over, and in a few weeks we will all gather around the living room to not just consume what is (hopefully) an exciting game, but also consuming a lot of snack! 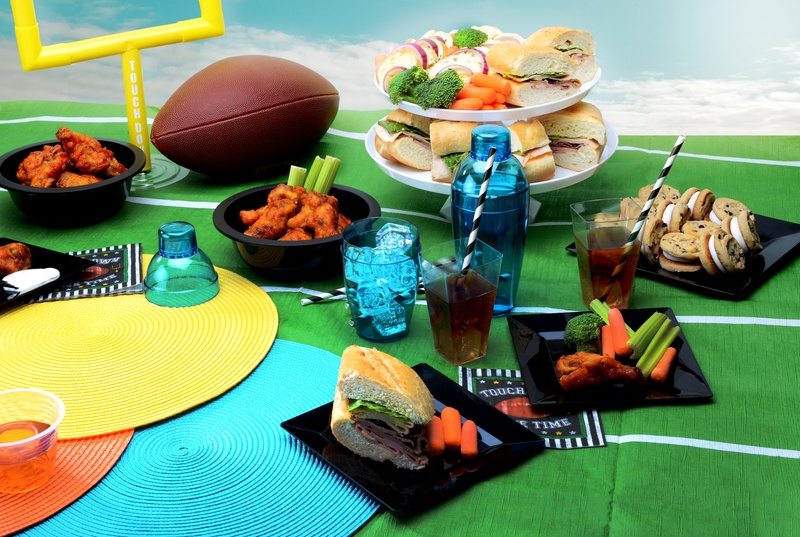 While we watch two teams duke it out on the field, we know you'll be trying to get your football feast to the end-zone with as little fuss and fiasco as possible! After all, it's the football players that are supposed to be exhausted by the end of the day, not you! 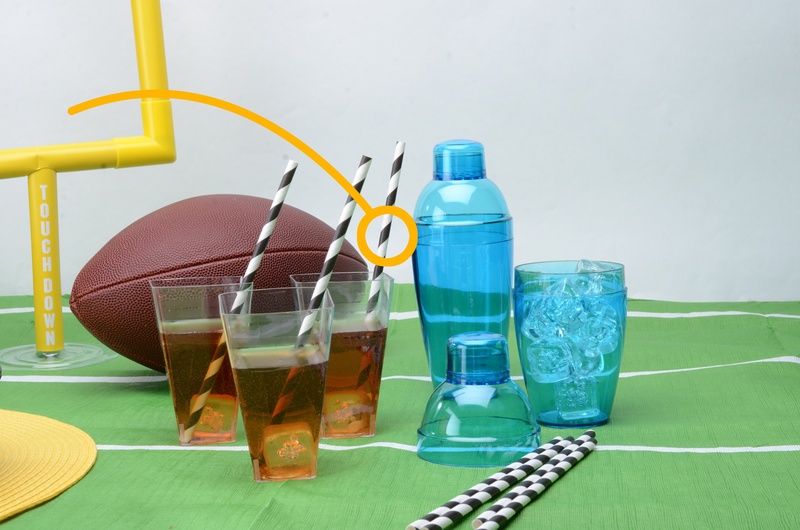 With that at the cornerstone of Fineline's goals, we're bringing out your favorite big guns, and a few new additions that will make your Super Bowl Party a super success! 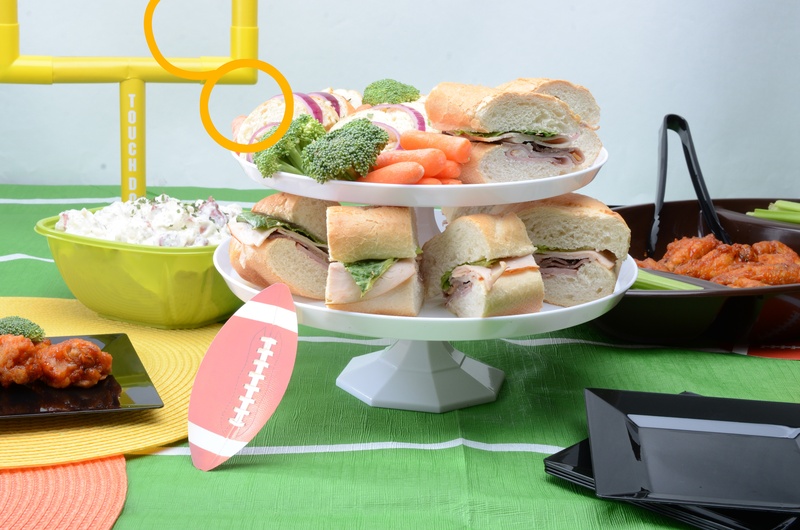 Our stylish and convenient Super Bowl and Super Bowl + PETE Serving Bowls and Lids are standard for indoor and outdoor events that will satisfy in both looks and convenience thanks to their incredible durability, space-saving stacking capabilities, and the ease of disposability! 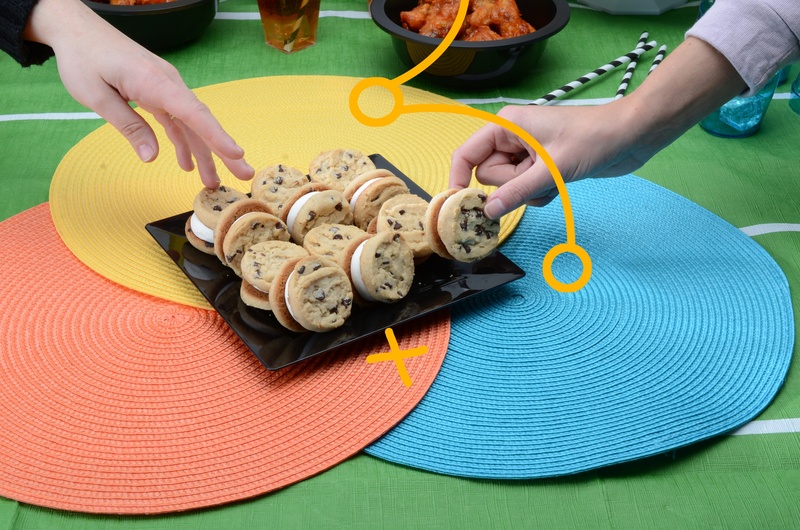 Below is a very special table "play-by-play", if you will, that we created to help inspire you with both setting and snack ideas! 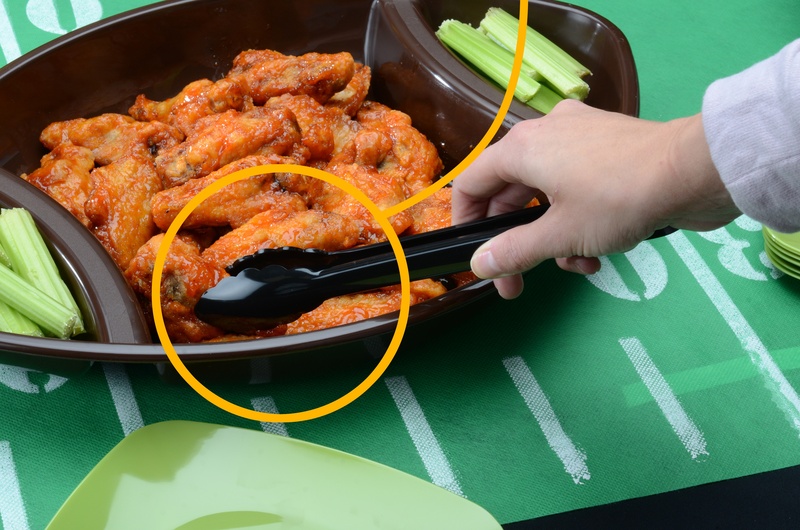 In our durable and spirited Sectional Football Serving Bowl, you can serve wings, veggies, chips, and more, and keep the dips closer at hand for easy serving and clean up! 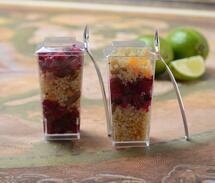 Set up some subs on our Cake Platters because they are perfect for more than just desserts! 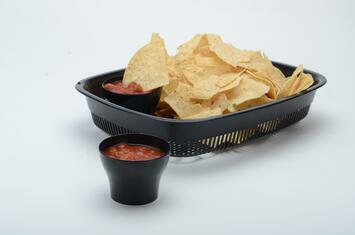 Even our seemingly simple Solid Square Plates can be the perfect purveyor of snacks and sweet treats! 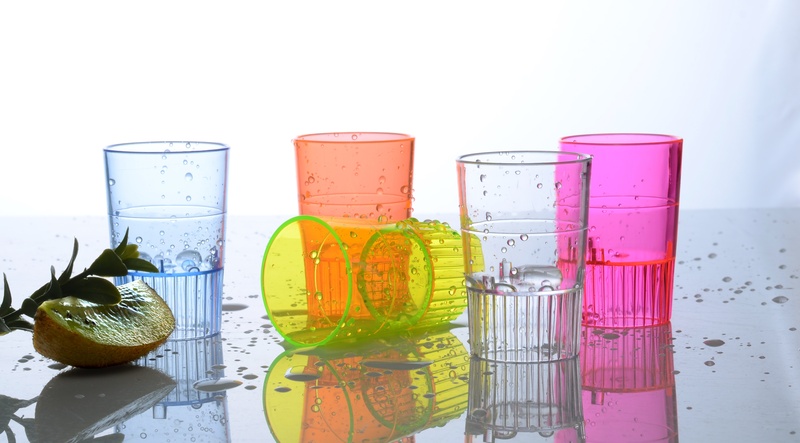 And for your drinks, take advantage of our sassy Quenchers Shakers and Wavetrends Tumblers! And for more fun stuff and to stay connected with us, check out our FB page by clicking the image below! We hope your Super Bowl is Hype and your Treats Tasty! WOW! WHAT A HOLIDAY SEASON THIS HAS BEEN SO FAR, RIGHT? With hectic shopping and schedule conflictions abound, wouldn't it be nice if at least one thing could be easy and stress free? Well, as always, our Fineline Family is here to share a few last minute holiday life savers to help you stay calm and classy throughout your Holiday 5K! Now imagine that after the meal is done, and your guests are snoozing on the couch... YOU are right there with them! And all because those beautiful dinner dishes, cutlery, and drinkware require no more after dinner clean-up than tossing them in that giant blag garbage bag (we all have) that is already full of wrapping paper! 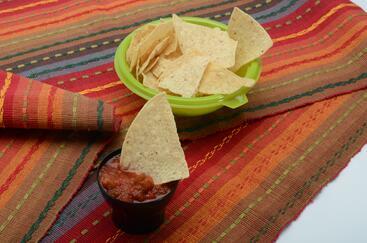 That's right, now you can have a beautiful tablescape fit for any festivity, and its all completely disposable! Our recently introduced Heritage and Signature Blu collections are elegant and durable options to wow your crowd; and they go beautifully with our new Renaissance Crisp Stemware and Stemless Goblets! 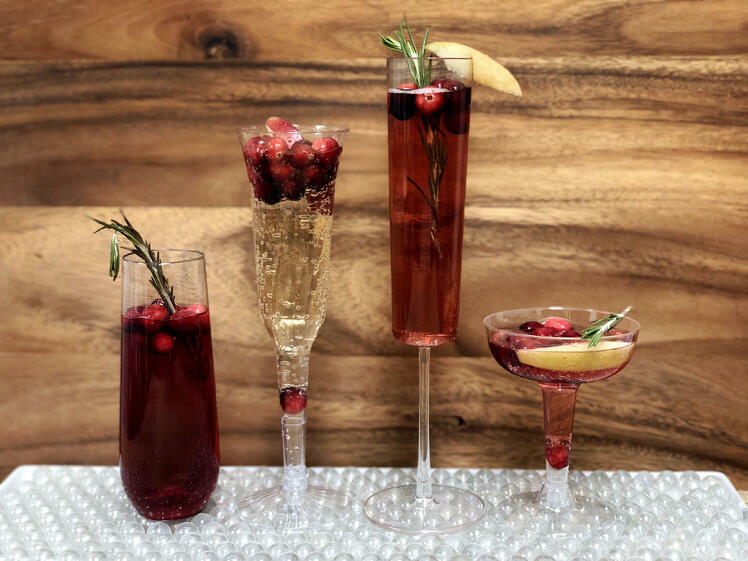 If you're hosting a bigger event or even a holiday office party, then our new Crystal and Holiday Themed Trays are the perfect options for serving up your appetizers, fruit and veggie platters, and yummy holiday cookies! FLS 2017 Holiday "Pin-It" List! And because you have been so good this year, we have a special treat from one of our very own team members! If you follow the link back to our Facebook Page, you will be greeted with a warm drink recipe inspired by one of the pins on the Holiday board! 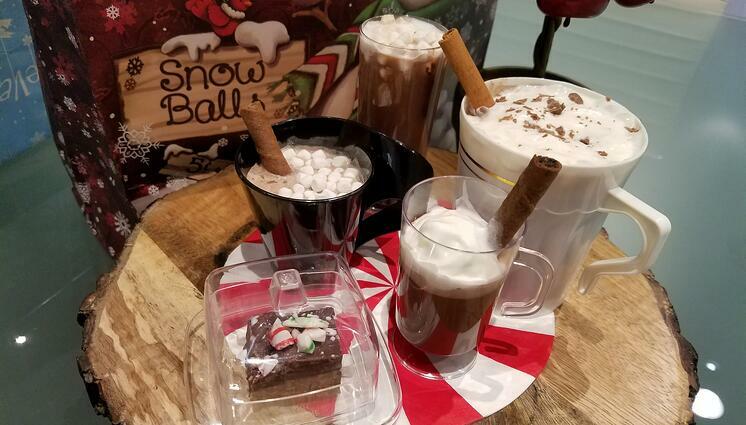 Tested and approved, this Hot Cocao is elevated with delicious treats, a rich flavor, and will look beautiful in our Flairware, Silver Splendor and Tiny Temptations Coffee Mugs! Click on the pic below to check it out! As always, it is a pleasure to have shared this 2017 with you. It's been a year of change, growth and progress. Together we are stronger, and love is the most important aspect of every holiday celebration. May the holidays of you, and those you love, be full of health and happiness.